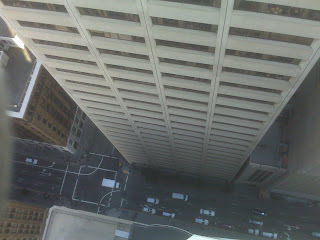 I had to drop a package on the 28th floor of 101 Montgomery this afternoon, the top floor of the building. 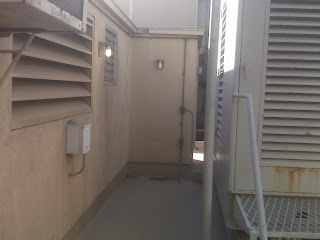 Last time I was there I discovered a door that led to the emergency staircase to the roof. 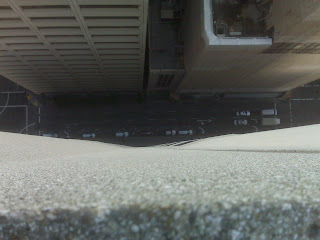 Today I felt the urge to go up again. 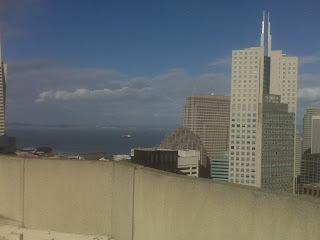 Man, I love going to the top of buildings. 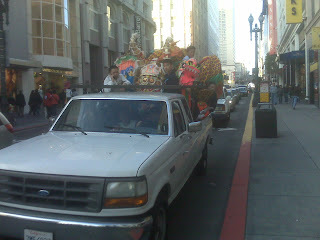 Later on, riding down Stockton I passed a truck transporting a team of lion dancers - 舞狮. It took me a second to figure out what it was at first. 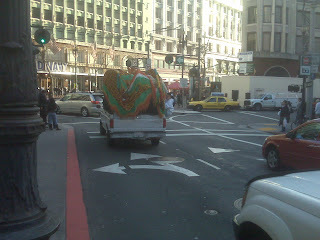 The Chinese lunar new year is coming up, so for good luck purposes there's a lot of lion dancing going on around town and I guess dudes aren't about to walk. did i tell you we're moving again? 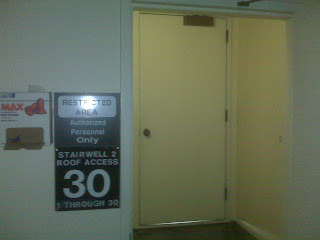 to 111 sutter. superfancy, eh? you'll have to come visit. 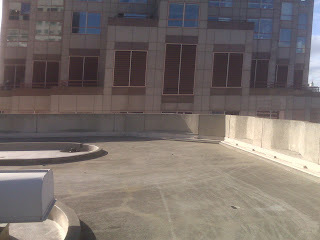 I'd love to jump off the top of a building. It would be an awesome thrill. The death wouldn't be so good though.